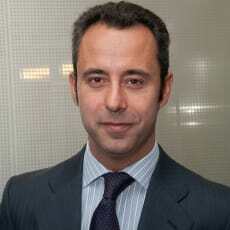 Jaime Bragado Yturriaga is a partner in the corporate law and M&A practice in the Madrid office. He is a specialist in corporate and commercial and financial law and advises mainly financial institutions and AIFMs, private equity entities, and listed multinational groups. He has been working on a regular basis for the main independent Spanish AIFMs and major multinational groups present in Spain which are part of the Fortune 500 and FT 500. He is an expert in fundraising activities and the structuring of multinational private equity funds, international M&A and corporate reorganisation transactions usually with a banking and regulatory element. He is a member of the Garrigues banks and savings banks, and private equity multidisciplinary groups taking part in numerous seminars and industry analyses. He has been designated as one of Spain’s standout corporate banking and M&A lawyers by Best Lawyers.